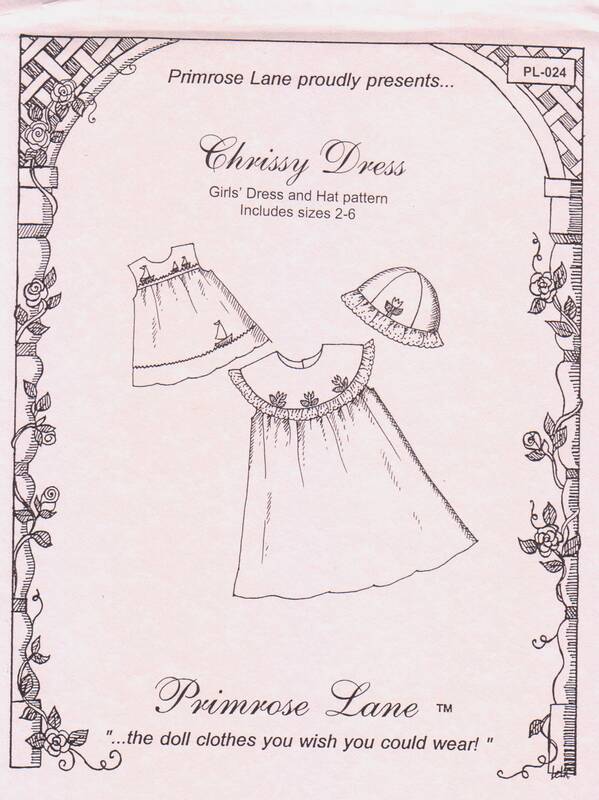 Chrissy is an adorable sleeveless dress with optional round collar and matching hat. It features a high square yoke and back button closure on the yoke. The collar may be trimmed with a self fabric ruffle, eyelet edging, or mini piping. 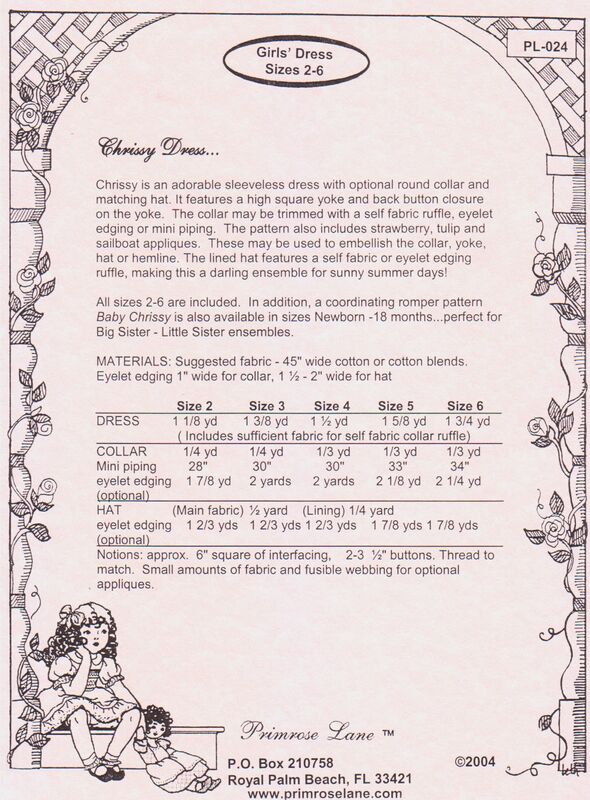 The pattern also includes strawberry, tulip, and sailboat appliques. These may be used to embellish the collar, yoke or hemline. Also includes a lined hat.